Congratulations on your achievement! 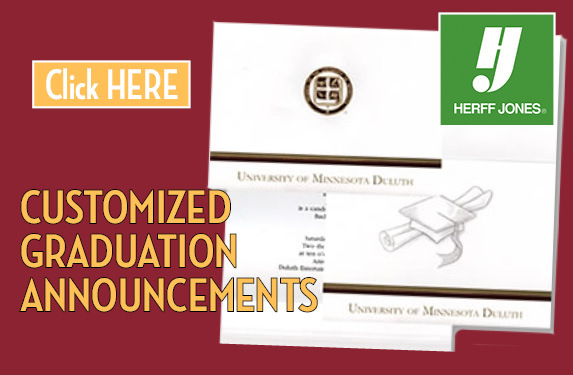 Graduation regalia, announcements, diploma frames, class rings and more are available for purchase in the UMD Stores Lower Level. For more information about participating in the undergraduate commencement ceremony, please visit the UMD Commencement home page. Graduation regalia is available in the lower level of UMD Stores or online. Please stop in the store if you would like to try on a gown for size. Gowns are purchased by height. The bottom of your gown should fall mid-calf. Large size XL gowns are available to order. Please see store for details if you need a larger size gown. Mortarboard caps are "one size fits most". (Size XL cap is also available.) Mortarboard caps are worn by both Bachelor and Master candidates. Tams are only worn by Doctoral candidates. The color of your tassel is determined by your degree. Click here for a degree list of UMD Bachelor tassel colors. All Master tassels are black. Graduation announcements are also available on the lower level. Personalized announcements are available through Jostens and Herff-Jones. 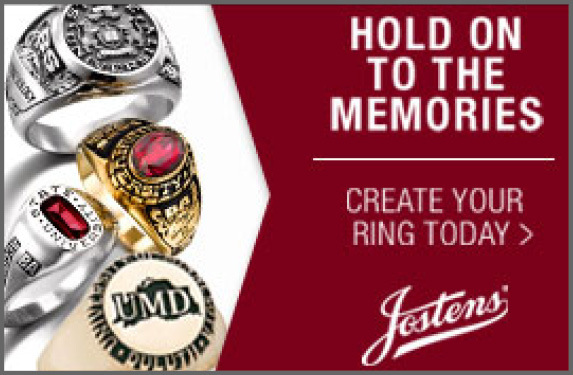 Class rings are available through Jostens and Herff-Jones. 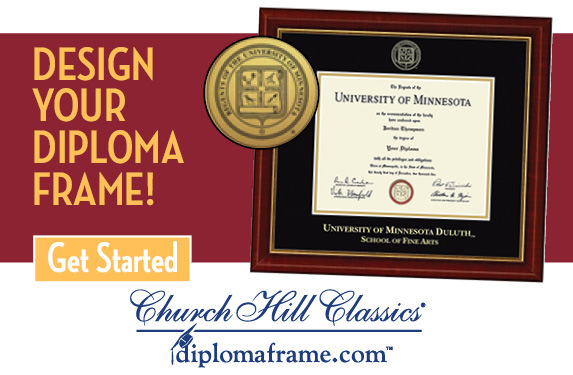 Custom diploma frames are available to order from Church Hill HERE.